Go back in time, travel to the origins of the light projection. Invented in the 18th century, the magic lantern ushers in new forms of show. Made from colorful drawings painted on a simple glass that, once slipped into the machine, created on a white screen a fantastic imaginary world tinged with mystery, fear and poetry. In its beginnings, cinema is inspired by this universe, resumes its themes and reproduce its visual effects. In the form of a tale devised from authentic lantern’s glass plates from 19th century, this ciné-show, mixing projection of lantern magic and first cinematographic films, is an opportunity to discover, to feel all the fairy and beauty of these first still and moving imageries. After studying History, Anne Gourdet-Marès works as a projectionnist and camera assistant. Passionated by the history of cinematographic techniques, she is responsible since 2002 of the Pathé cinematographic devices collection then for the foundation Jérôme Seydoux-Pathé. She specialized her research on the history of the machines and its sustrate – the film. She is also in charge of setting up educational workshops about the technical inventions of the cinema, especially for young audiences. 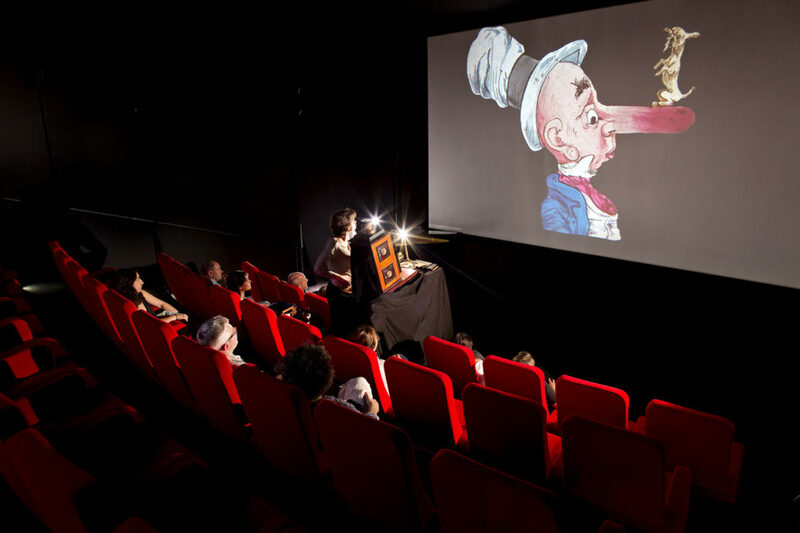 In september 2015, she created « le petit cinématogrpahe », a film show mixing magic lantern and silent film. She’s the author of the book « Si on allait au cinéma ! » ( Let’s go to the cinema ! ), released in february 2018.